I would like to thank the parents that attended the previous Head of School Community meeting last week. 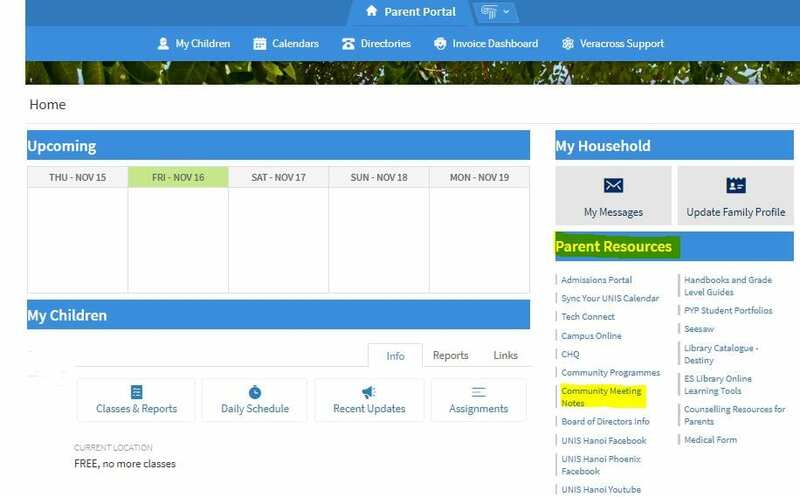 If you were not able to make it to the meeting, you can access the meeting notes, presentations and resources on the Veracross Parent Portal. Simply click on the “Community Meeting Notes” link listed under Parent Resources. This entry was posted in Head of School Notes by clo. Bookmark the permalink.